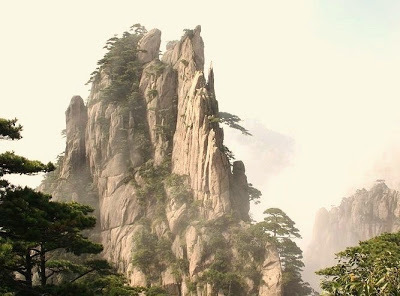 While Confucianism advocates city life, study, and the structure of the family and state, Daoism advocates returning to nature and the natural (ziran), simplicity, meditation, and questioning all human understanding. 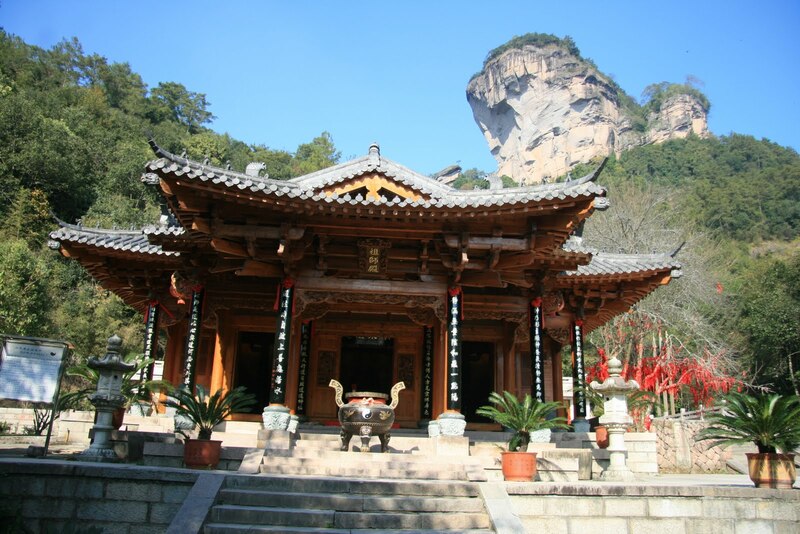 Confucianism argues that we should cultivate and civilize ourselves through education and tradition, Daoism argues that we should return to our natural state and let nature run its course, thus reaching a state of completion. 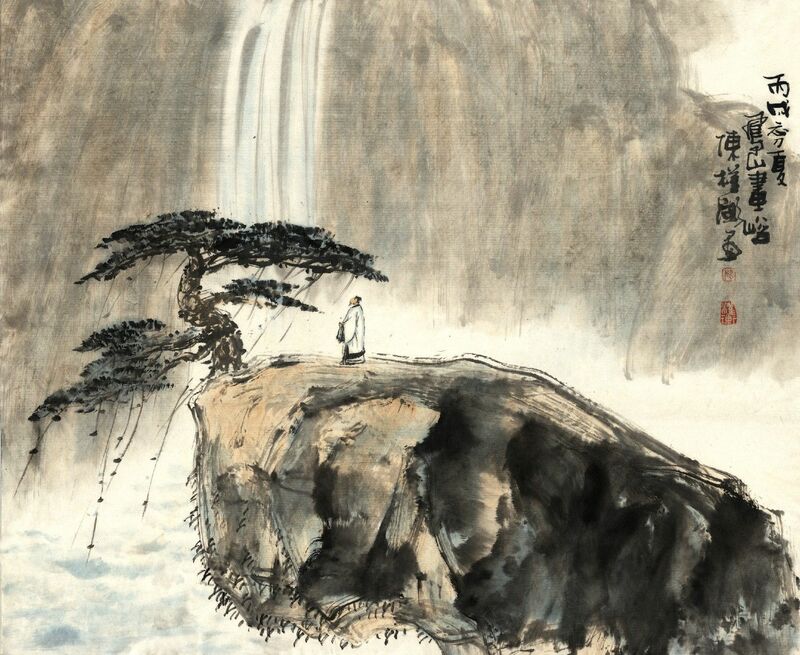 Rather than study harder to understand more distinctions between things, Daoism argues we should work to forget and see beyond the understandings and distinctions we have stored up in ourselves already. Daoists would agree with Confucius that “a noble person is not a pot”, but rather than add and stir they would have us empty it out. 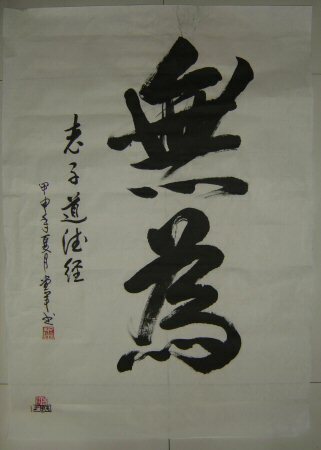 The most important concept for Daoism (and, interestingly, the mystics of most religions) is the Great One, the All. 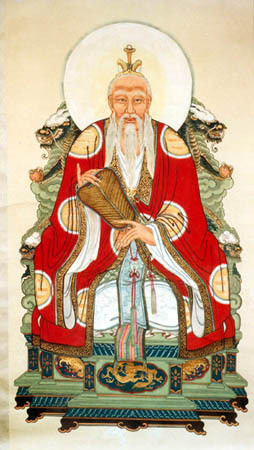 Like Confucius and Confucianism, Daoism followed the Zhou Dynasty before the Han in speaking about the Way (Dao) of heaven and the mandate of heaven but less about the ‘Lord of Heaven’, the Jade Emperor, showing us the same abstraction and evolution from polytheism to monotheism to philosophical monism we found in ancient Egypt, India and Greece. 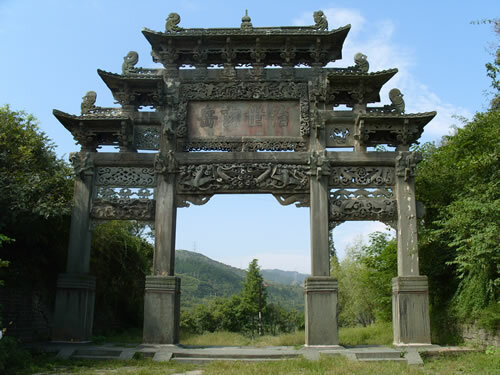 Like in ancient Egypt and India, but unlike ancient Greece after the spread of Christianity, ancient China kept traditional polytheism as their philosophers moved toward monism. 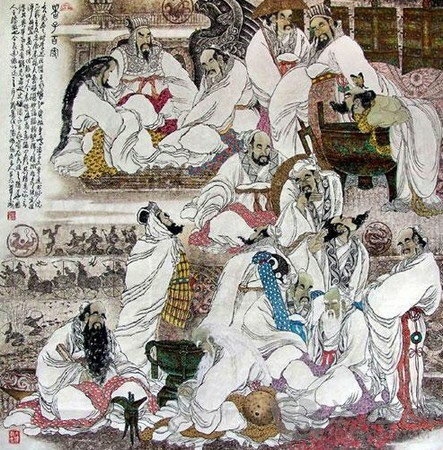 Philosophers speak about the oneness of all in the abstract as the Dao, while priests and ritual attendees venerate the traditional anthropomorphic gods. 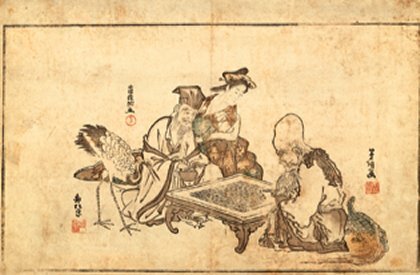 There is a medieval Japanese story that illustrates wu-wei well. A local lord has three sons, and must decide who should inherit his position. He tests them by placing a pillow on the sliding door to his room and calling them one at a time. The eldest son enters and annihilates the pillow in a frenzy of skilled sword strikes. The middle son draws his sword but sees the pillow in midair and catches it. The youngest son sees the pillow on the door, tucks it under his arm and enters the room to the joy of his father. 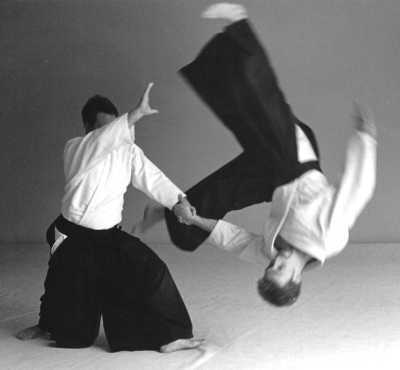 Those familiar with Aikido, the Japanese martial art, will recognize the concept of wu-wei as it is physically used: one defeats one’s opponent by moving out of their way and allowing the situation to take its course, not by directly striking them. If your opponent wants to use their energy, you let them, and use their own energy against them. 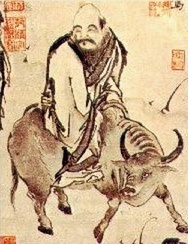 Laozi is said to have given up on life in politically turbulent China and rode a water buffalo west to live as a hermit. 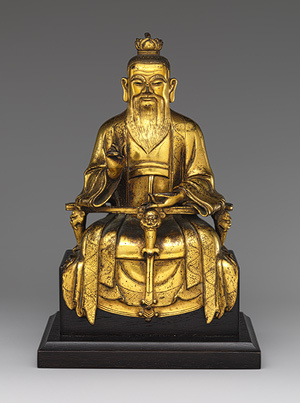 As he was about to leave the state, he was recognized by the border guard Yin Xi who pleaded with him to leave his teachings for the people before leaving society. 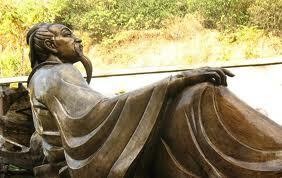 Laozi consented and in the dirt road wrote the 81 passages of the Dao De Jing before disappearing forever. 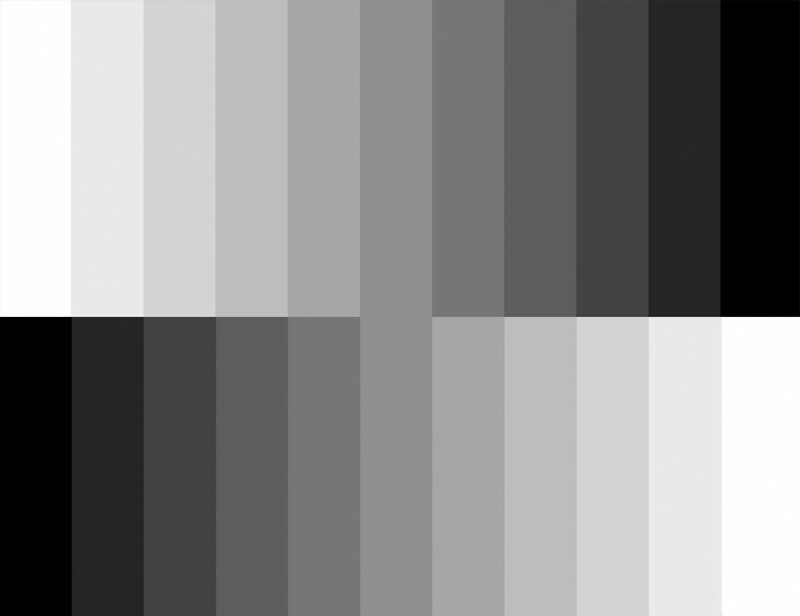 81 is 9 x 9, and 9 is 3 x 3, similar to the 10,000 things being 100 x 100, and 100 is 10 x 10. 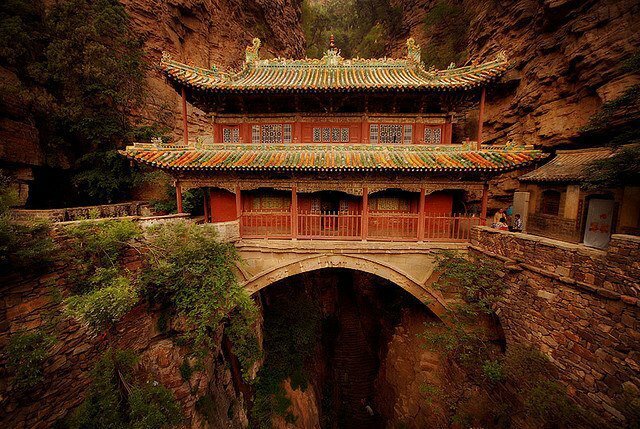 Because no one witnessed Laozi’s death, he is considered an immortal like other Daoist sages. Human truth is quite relative and perspectival. At first, one believes particular things are absolute. After negative experiences, it is easy to be discouraged and only see the limitations and emptiness of beliefs. 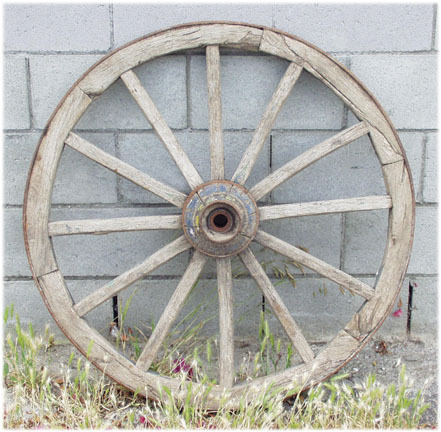 This would be like focusing on first the solidity and then the emptiness of the wheel exclusively. The point is not to stop at the emptiness however, but to see that both sides work together to make the wheel, all things, and life itself, what it is. 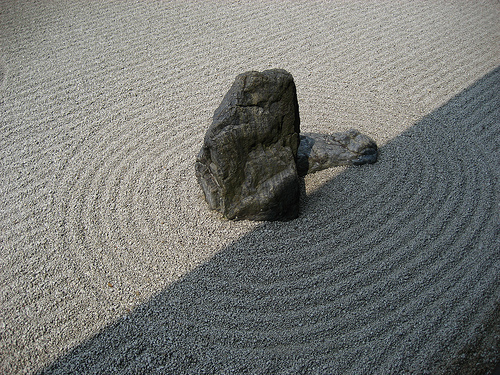 There is a Zen Buddhist Koan which says something very similar: “First practicing (Zen), I saw a rock as a rock…then, I saw it as not a rock…finally, I saw it as truly a rock.” Just as our own subjective perspective is what we see of the objective whole, the rock is what it is (the objective) and how one sees and understands it (the subjective) together, much as it takes two hands, not one, to clap. In Chapter 22, we read that the sage does not boast, and is thus admired by everyone, that he does not want to shine, and is thus will be enlightened, that he does not seek excellence, and is thus exalted, that because he does not argue, no one can argue with him. Most people assume that they know what is simply good, and what is simply bad, and they are not afraid to tell you so. Only the sage, the wise person, knows not to boast about anything but to enjoy and appreciate things just as they are, and thus the sage is far less annoying than the average person. This takes practice and patience, something the average person does not have the patience for before making a quick and certain judgment leading to action. If you desire nothing, “everything will flock to you”, and you have whatever you need right at hand in any situation. This is opposite the common understanding, which says that you must want something and relentlessly seek it in order to have it. Patient action is often more fruitful then strenuous action. In Chapter 42 we read, “The strong do not die a natural death”, and “The violent die a violent death”. This is quite similar to Jesus saying that those who live by the sword die by the sword. Try to gain for yourself, and the great balance of all things will cut you down, doing to you what you do to others. 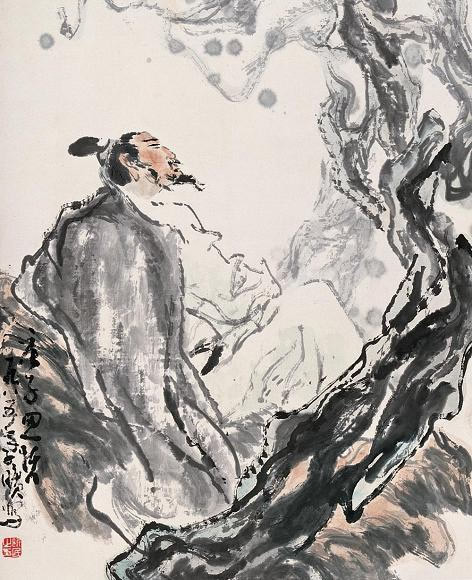 In the Zhuangzi, twice there appears the example of a gnarled old tree which outlives other trees because it does not grow powerful and strong and is thus not cut down and used to build other things by woodcutters and carpenters. 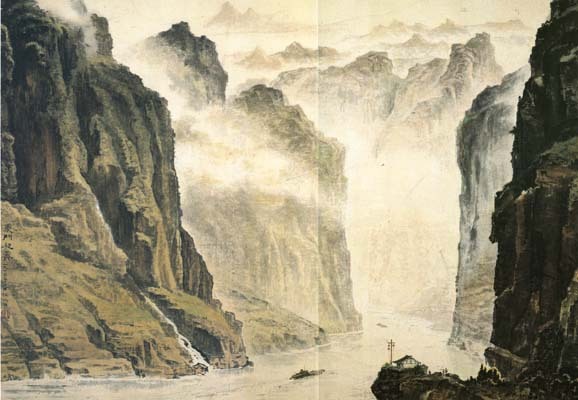 In Chapter 43, we read, “The softest thing on earth overtakes the hardest thing…From this one recognizes the value of non-action (wu-wei).” This calls to mind a seashore, with the waves of soft fluid water battering the hard rock cliffs to make sand where the water and land meet, or mountain ranges created by rivers. 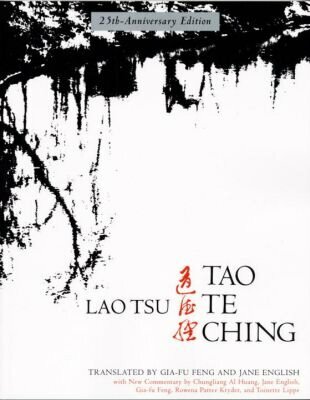 While Laozi’s Dao De Jing is concerned with how to properly live as a community and sounds like political advice to rulers and officials in many places, Zhuangzi’s text, referred to by his name, is concerned with the individual mind, with human judgements and attitude. It argues that individuals should seek freedom and happiness through simplicity and open-mindedness. 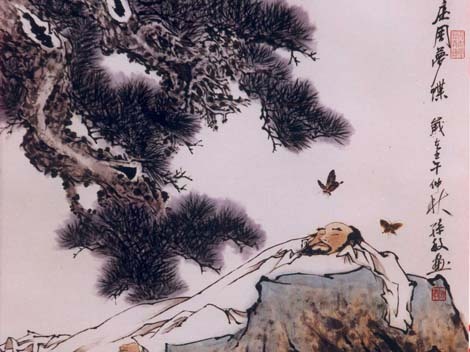 Zhuangzi may have been from the Sung region of ancient China, a place torn apart by political conflicts from within and conquered repeatedly by neighboring regions. 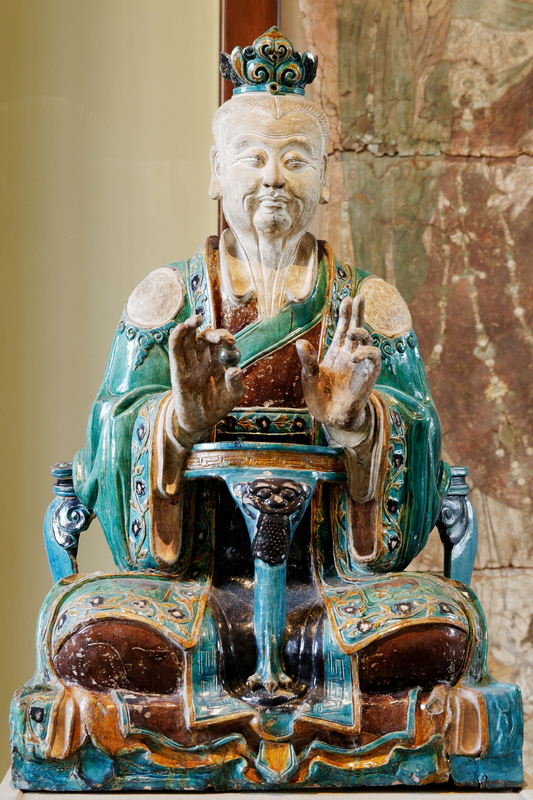 Zhuangzi repeatedly suggests that if one takes the long view over many lifetimes, the bad comes with the good and it is all part of one process and whole. 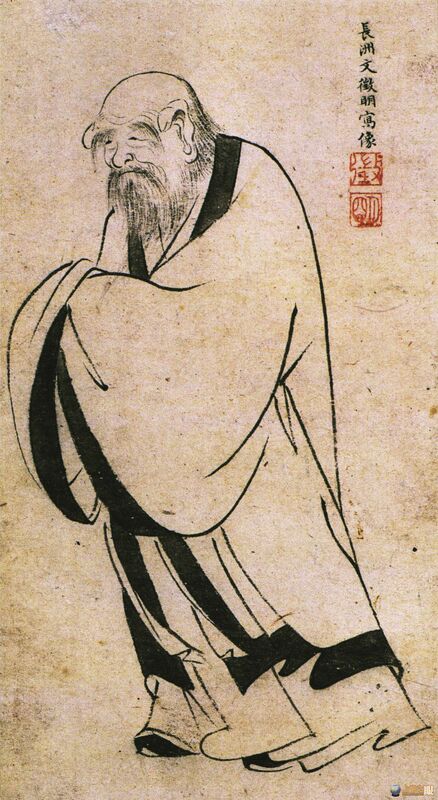 While other Chinese masters suggested various ways one could structure the state, as Laozi does in places, Zhuangzi is entirely concerned with liberating the individual mind in a chaotic and close-minded world. 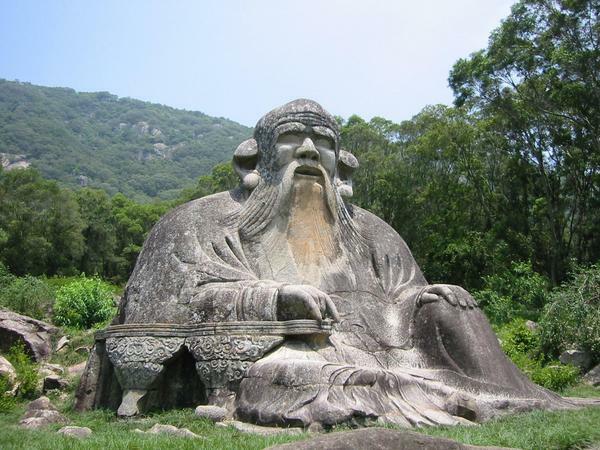 Zhuangzi does speak of Laozi in several places in the text, as he does of many other sages and masters, drawing from their teachings as well as being critical of some. 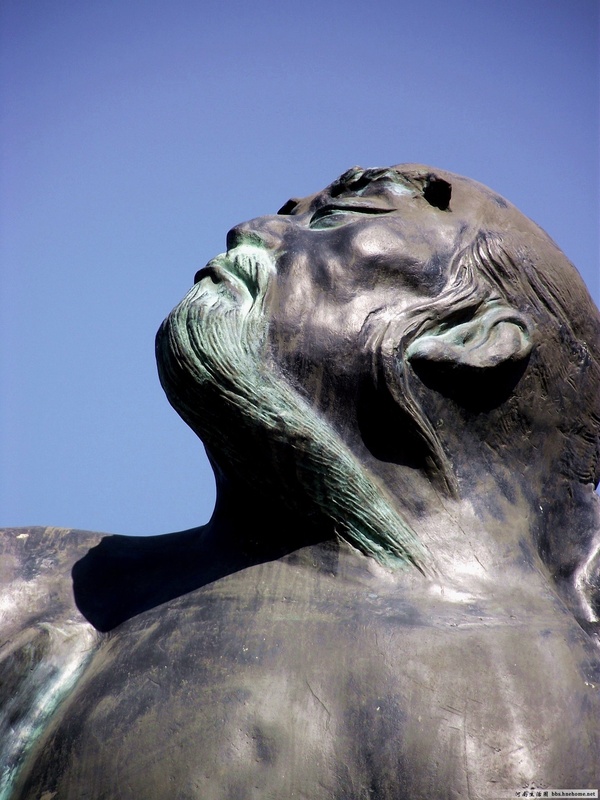 In one passage, he tells us that Nan-jung Chu went to see Laozi for advice, who asked him as he entered, “Why have you brought this crowd of people with you?”. Nan-jung spun around, to find no one behind him, as Laozi was referring to the attachments and memories Nan-jung carried with him. 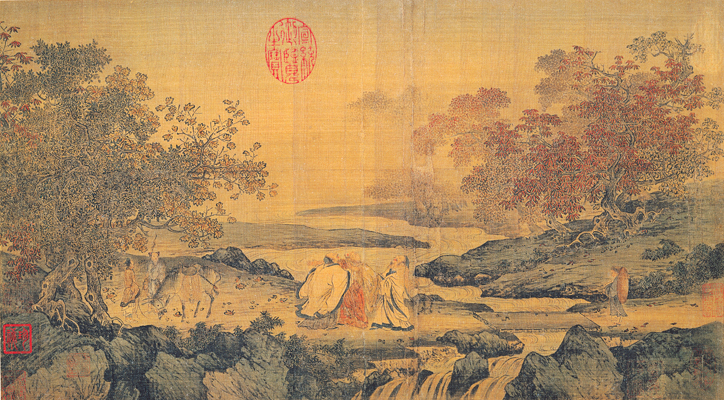 The Zhuangzi was a major influence on Zen Buddhism, which unlike other Buddhist schools was a native Chinese tradition that was cross-pollinated with Daoism from its beginning. 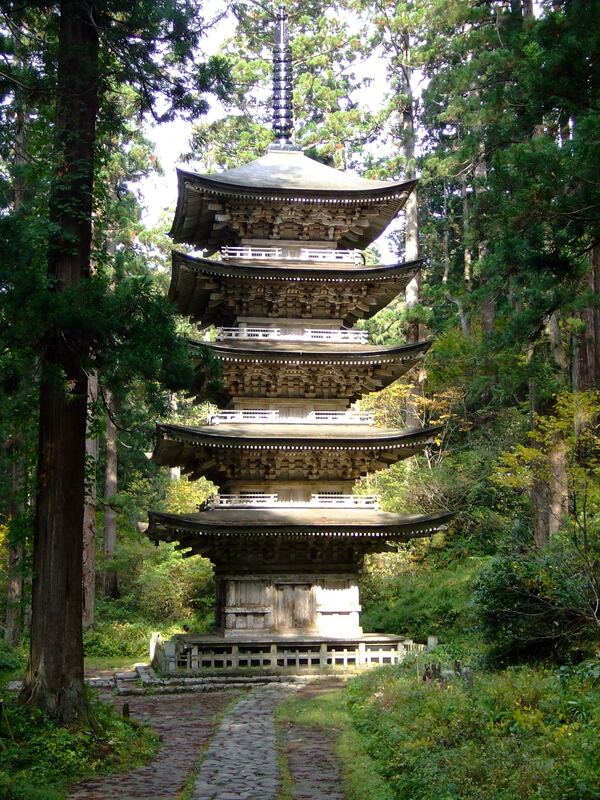 Many Zen koan stories contain lines that are similar if not identical to the Zhuangzi. 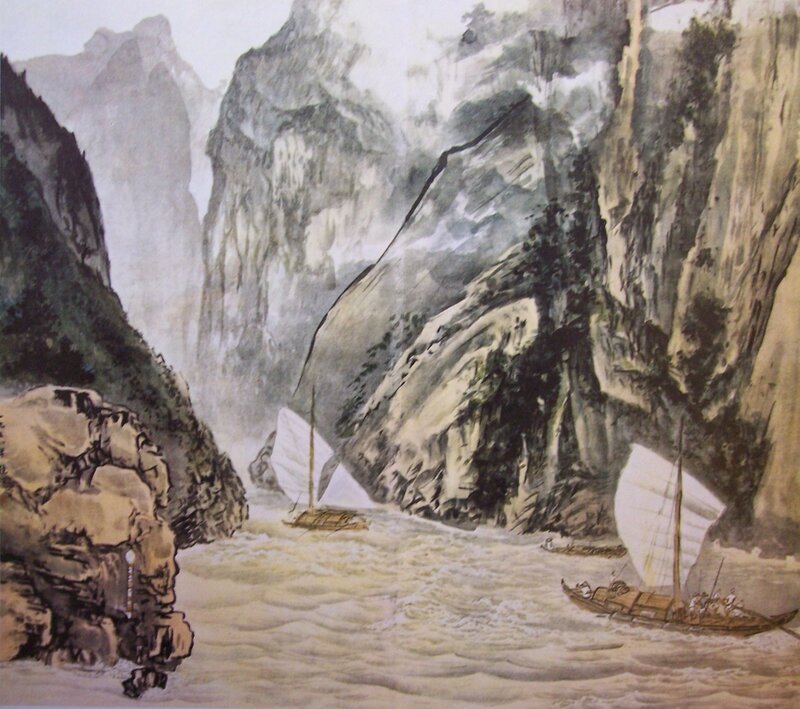 Joshu, my favorite Zen master who lived about 700 CE, quotes the opening passage of the inner chapters of Zhuangzi to a monk in training, saying “Ships can not sail where the water is too shallow”. 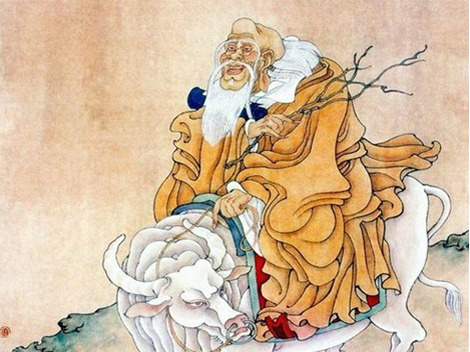 Like Joshu, Zen, and Heraclitus, Zhuangzi enjoyed using humor much more than other philosophers, using it to shock and free people from their judgements and limitations. 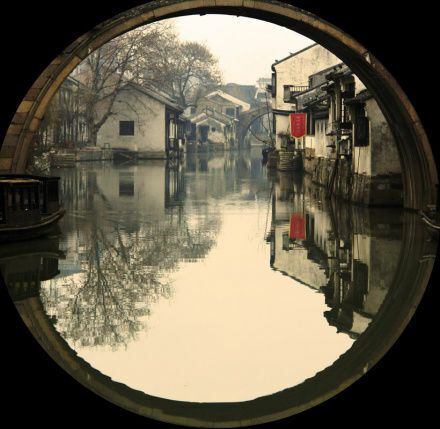 In several places of the Zhuangzi, we see the idea of perspective presented the same way as we saw in Heraclitus. 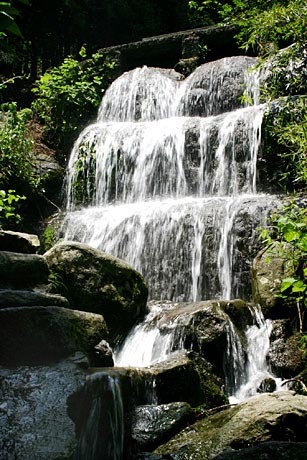 We are told that Mao Quiang and Lady Li were legendary beautiful women, but fish were frightened of them and swam away when they gazed into a stream, and birds and deer were frightened by them when they walked through the forest. Heraclitus said that all human beauty and achievement is nothing but apes to the gods, and that apes find each other beautiful. 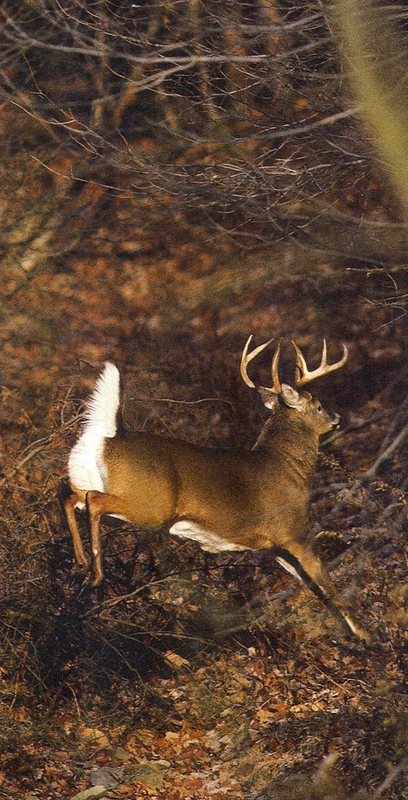 Who knows what is beautiful, humans, birds, fish, deer, or apes? 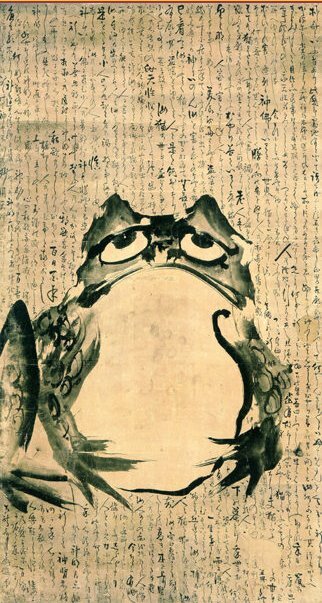 Zhuangzi asks which of these animals truly knows what tastes good, given they each eat different things. Heraclitus says that sea water is deadly to us, but fish in the ocean need to drink it. 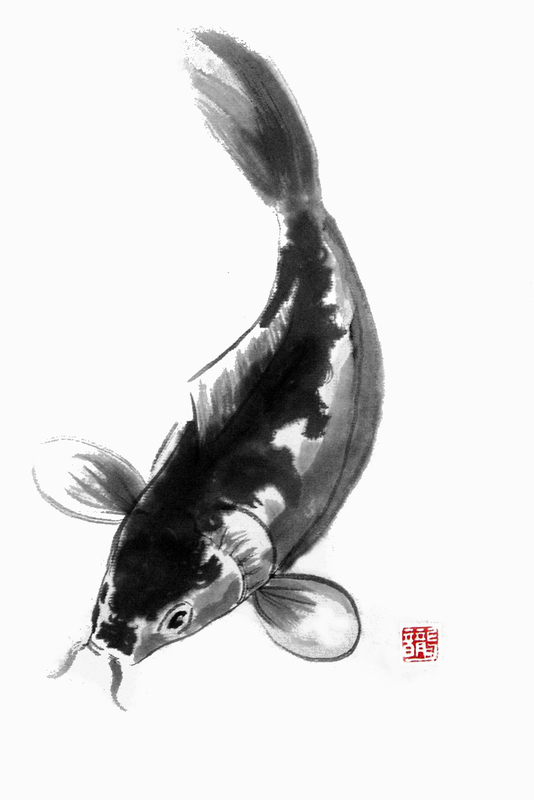 Zhuangzi asks if we would feel comfortable sleeping in water like a fish, or in a tree like a bird. 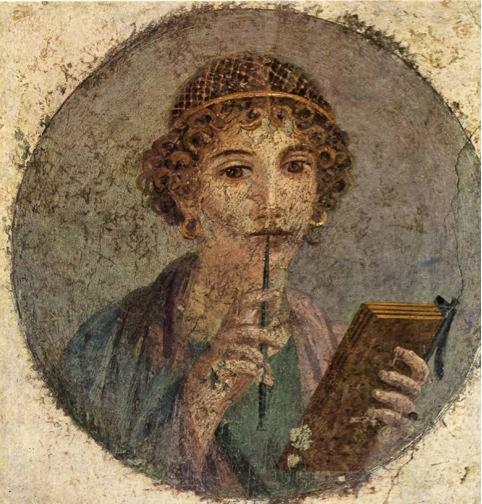 Clearly, both thinkers are using the same metaphorical device to argue, like the great ancient Greek poet Sappho, that beauty is in the eye of the beholder. 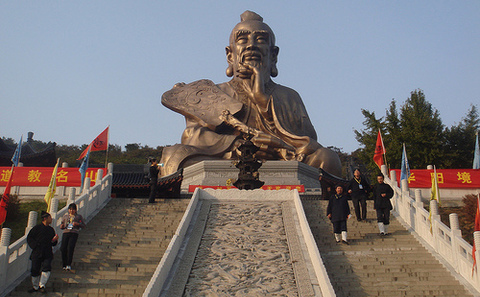 Scholars argue that whoever is writing the text, is well aware that readers would know Confucius is being used as a character to argue against his own philosophy in a way that he never would, and the author is not using Confucius to lend authority to Daoism, however in ancient Chinese culture Confucianism was understood to apply to the ways of people while Daoism looked mystically beyond to the way of all things together. 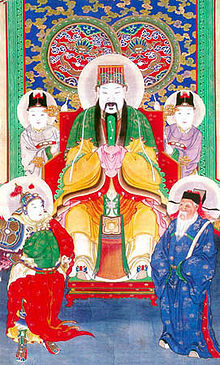 Recall that Confucius says he does not speak of the heavens or of spirits, but rather concerns himself with people. 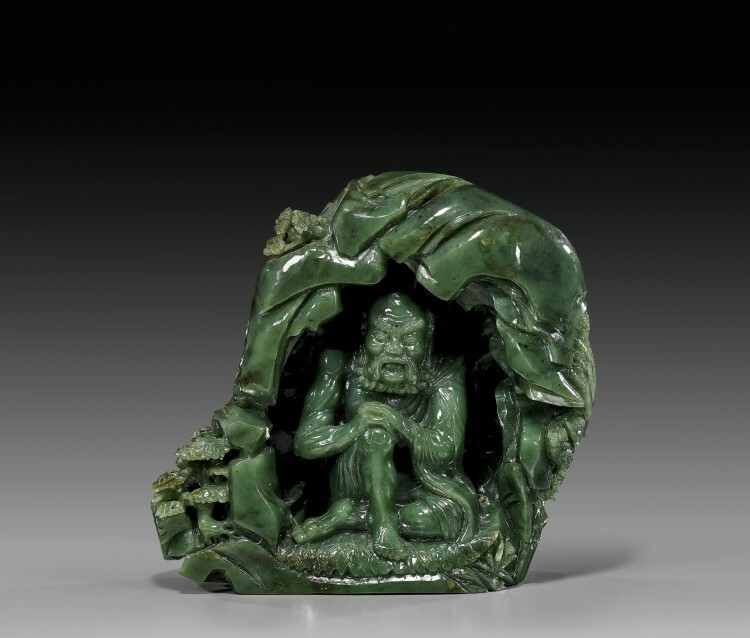 We are told that the emperor learns how to rule his kingdom by listening to Cook Ding, who tells the emperor that he has learned over a lifetime how to cut up oxen with his knife that never dulls because he knows instinctively where the spaces are. We hear about the woodcutter scolding his apprentice for saying that an old gnarled tree is useless, replying that what is useless in some ways is useful in others, such as a tree no one will cut down providing a shady spot for centuries. The mythical Peng bird is mocked by the dove and the cicada (a large grasshopper-like insect) for flying high up and far off in the sky. They have no frame of reference to understand such an act, as they die every winter and do not survive by migrating south. They do not take long journeys, undertaking big projects or ideas, and so they laugh at the Peng bird, much as Heraclitus of ancient Greece says dogs bark at those they do not know. The dove and cicada are compared to one who “has wisdom enough to fill one office, good conduct enough to impress one community, virtue enough to please one ruler, or talent enough to be called into service for one state“, who, “has the same kind of self-pride as these little creatures“. 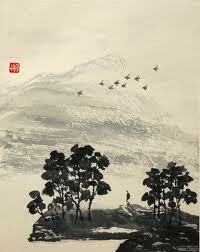 Similar to the Peng bird, Zhuangzi is told by Hui Shi later in the text that his wisdom is foolish and useless, but Zhuangzi replies, much like the Dao De Jing, that there are no things which are not foolish or useless, but this does not stop them from also being serious and useful. What seems far off and removed, and thus not useful, is in fact the point from which one can have a larger perspective, which is useful for doing anything. It also suggests that being detached and removed from the world, doing less, is the better way to live. 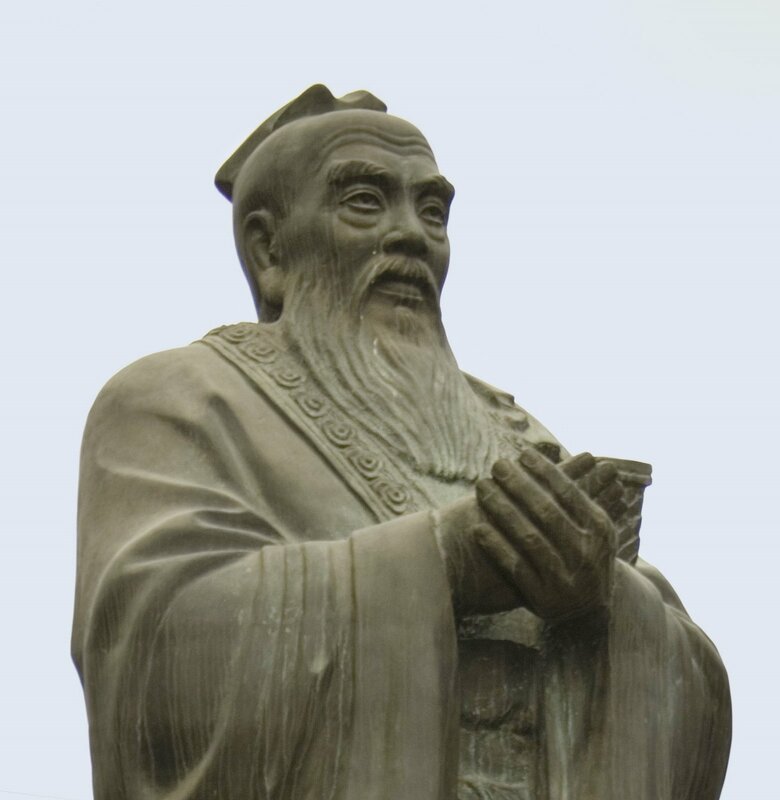 The philosopher and logician Huizi, also known as Hui Shi, tells Zhuangzi that a king gave him seeds of a huge gourd, but when he planted the seeds and grew huge gourds they were so large that he could not use them as containers so he smashed them. 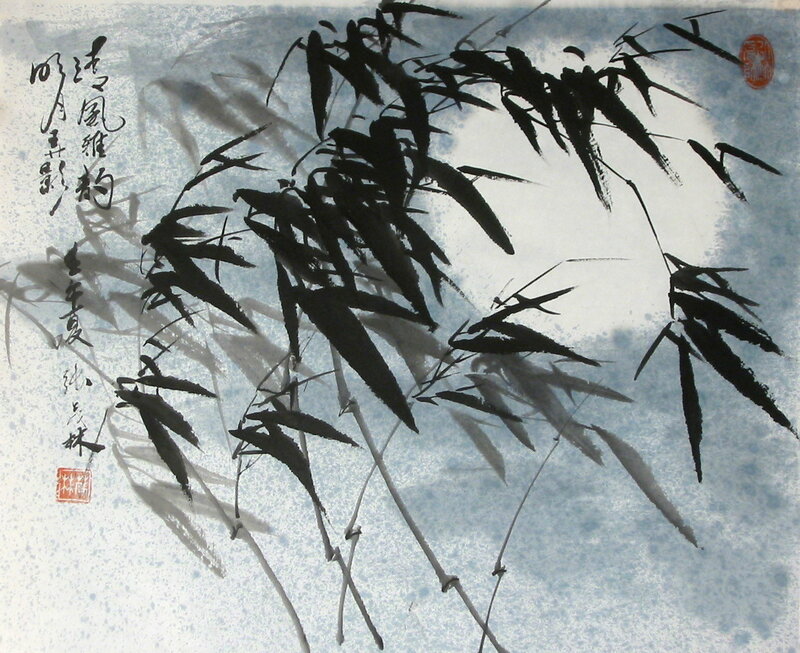 Zhuangzi tells him he should have used them as boats, and “Obviously you still have a lot of underbrush in your head!” Huizi tells Zhuangzi that he has a large gnarled tree, which is as useless as Zhuangzi’s reasoning. 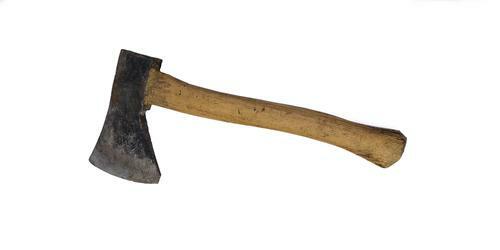 Zhuangzi replies that if no ax will cut it down, it makes a great shaded place for taking a nap. Therefore the sage does not proceed in such a way, but illuminates all in the light of reality. A sage too has a ‘this’ and a ‘that’, but a sage’s ‘that’ has a ‘this’, and a sage’s ‘this’ has a ‘that’. A sage’s ‘that’ has both a right and a wrong in it, and a sage’s ‘this’ too has both a right and a wrong in it, so does a sage still have a ‘this’ and ‘that’? 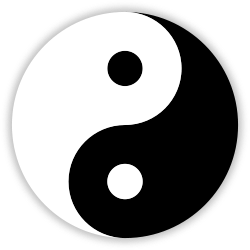 A state in which ‘this’ and ‘that’ no longer find their opposites is called the hinge of the Way. When the hinge is fitted into the socket, it can respond endlessly. Its right then is a single endlessness and its wrong too is a single endlessness, so I say the best thing to use is clarity. To wear out your brain trying to make things into one without realizing that they are all the same is called “three in the morning”. What do I mean by “three in the morning”? When the monkey trainer was handing out acorns, he said, “You get three in the morning and four at night.” This made all the monkeys furious. “Well then,” he said, “you get four in the morning and three at night.” The monkeys were all delighted. There was no change in the reality behind the words, and yet the monkeys responded with joy and anger. Let them, if they want to. The sage harmonizes with both right and wrong and rests in the Way, the equalizer. Chuchuehzi said to Changwuzi, “I have heard Confucius say that the sage does not work at anything, does not pursue profit, does not dodge harm, does not enjoy being sought after, does not follow the Way, says nothing yet says something, says something yet says nothing, and wanders beyond the dust and grime. Confucius himself regarded these as wild and flippant words, though I believe they describe the working of the mysterious Way. 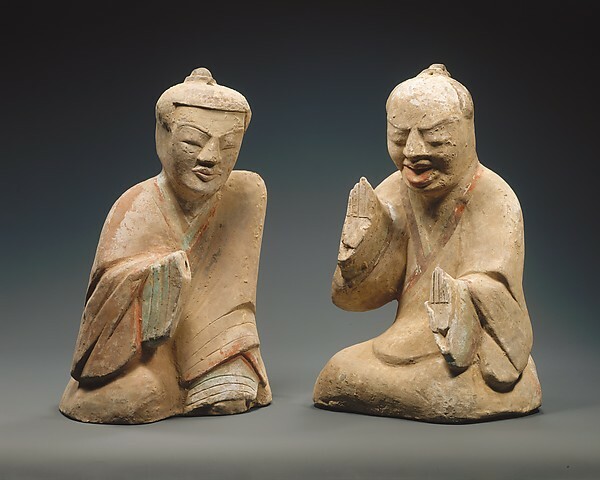 What do you think of them?” Changwuzi said, “Even the Yellow Emperor would be confused if he heard such words, so how could you expect Confucius to understand them? Whats more, you’re too hasty in your own appraisal. You see an egg and demand a crowing rooster, see a crossbow pellet and demand a roast dove. I’m going to try speaking some reckless words and I want you to listen to them recklessly. How will that be? The sage leans on the sun and the moon, tucks the universe under his arm, merges himself with things, leaves the confusion and muddle as it is, and looks on slaves as exalted. Ordinary people strain and struggle. The sage is stupid and blockish. The sage takes part in ten thousand ages and achieves simplicity in oneness…While one is dreaming one does not know it is a dream, and in the dream one may even try to interpret a dream. Only after one wakes does one know it was a dream. Someday there will be a great awakening when we know that this is all a great dream, yet the stupid believe they are awake, busily and brightly assuming they understand things, calling this man ruler, that man herder. How dense! Confucius and you are both dreaming, and when I say you are dreaming, I am dreaming too. Words like these will be labeled the Supreme Swindle. Recall that Heraclitus says that most are asleep, each turning into a darkness of their own, and that experts are foolish enough to believe they are fully awake and understand. 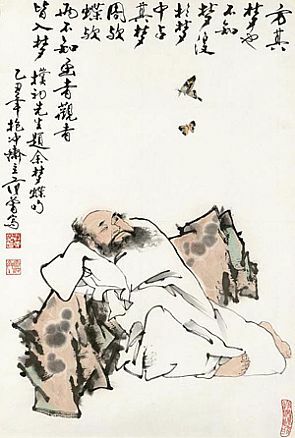 In the most famous passage of the book, Zhuangzi dreamt that he was a butterfly and forgot that he was Zhuangzi. When he woke, he no longer knew whether he was Zhuangzi who had dreamt he was a butterfly, or a butterfly dreaming he is Zhuangzi. Another famous metaphor used is that of the praying mantis that waved its arms angrily in front of an approaching carriage, unaware that it is incapable of stopping it. 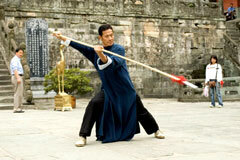 It suggests that we move in response to life rather than hold our ground taking pride in our own abilities. Like the famous Prayer of Saint Francis, we should have the wisdom to see when we can and when we cannot make a difference before acting. 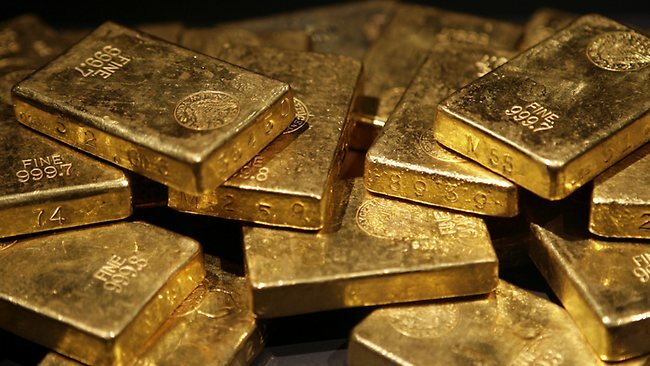 The Perfect Man of ancient times made sure that he had it in himself before he tried to give it to others. When you’re not even sure what you’ve got in yourself, how do you have time to bother about what some tyrant is doing? What do I mean by a True Man? The True Man of ancient times did not rebel against want, did not grow proud in plenty, and did not plan his affairs. A man like this could commit and error and not regret it, could meet with success and not make a show. A man like this could climb the high places and not be frightened…He didn’t forget where he began. He didn’t try to find out where he would end. He received something and took pleasure in it. he forgot about it and handed it back again. This is what I call not using the mind to repel the Way, not using man to help out the cosmos. 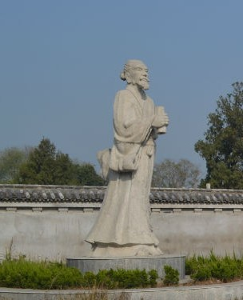 Liezi likely lived around 400 BCE, putting him between Laozi and Zhuangzi. 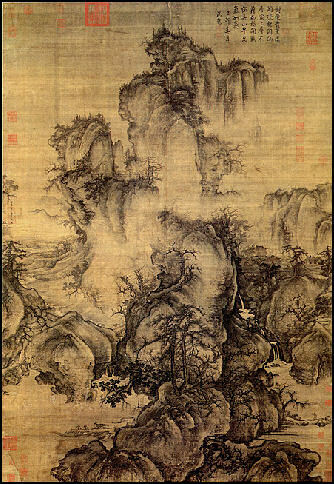 While Liezi is mentioned in the Zhuangzi text, establishing that there was a Master Lie who was active earlier than the Zhuangzi was written and compiled, it has long been known to Chinese scholars that much of the Liezi text was written far later than the Dao De Jing and Zhuangzi, likely some time between 200 and 300 CE, after the Warring States Period and at the end or after the Han Dynasty. 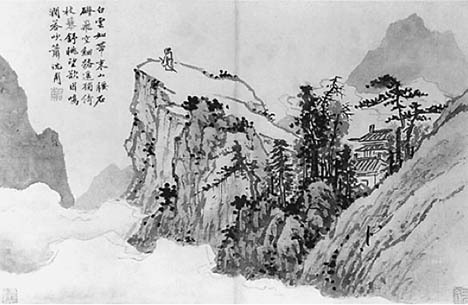 In suggesting simplicity and nature as the way to properly live, some have called Laozi and other Daoists early Chinese anarchists. 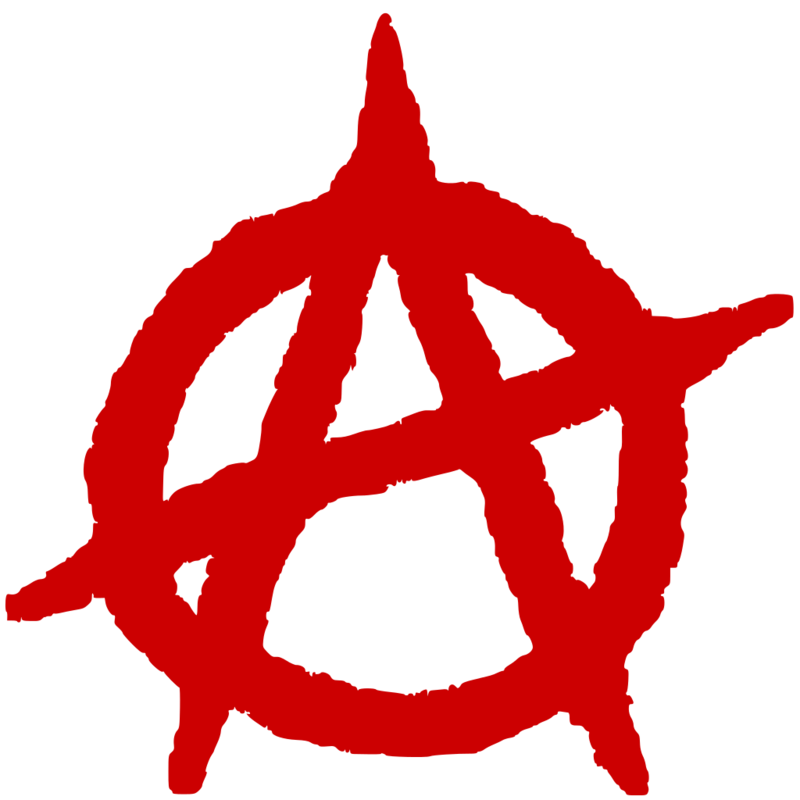 The Liezi suggests that when things are properly working, there is no need for the distinction of ruler and subject and each individual can pursue what they want without harming or crossing anyone else. 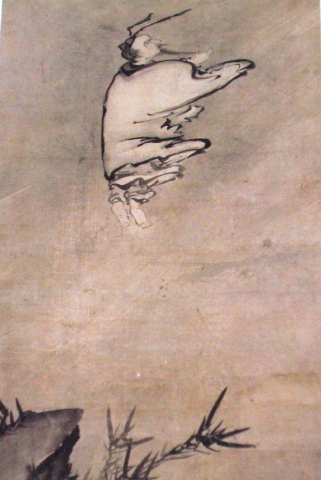 In addition, while Daoism later became a religion transfixed on the idea of immortality, and in the Liezi there are references to immortals in the heavens, the text argues several times that to accept death is to accept the fullness of life, as one must accept both sides of oppositions to be in balance with the way of things that is never entirely one-sided. 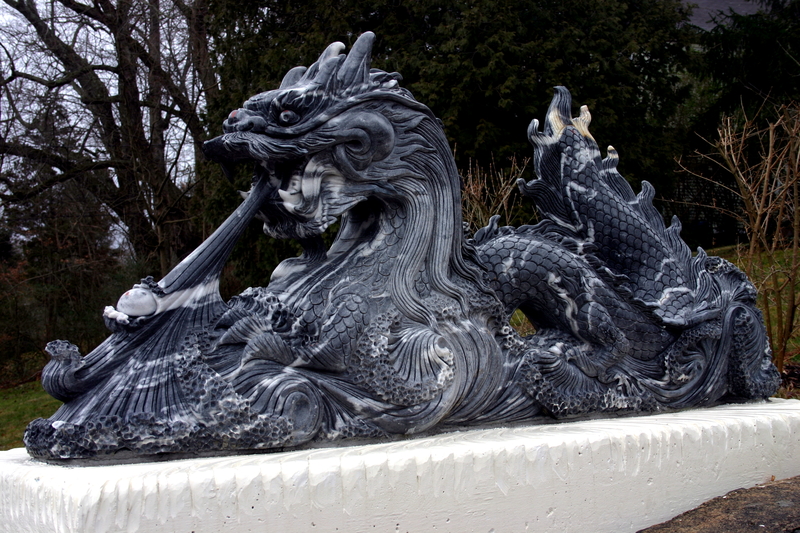 Liezi says, “to wish to live forever, and have no more of ending, is to be deluded about our lot”. 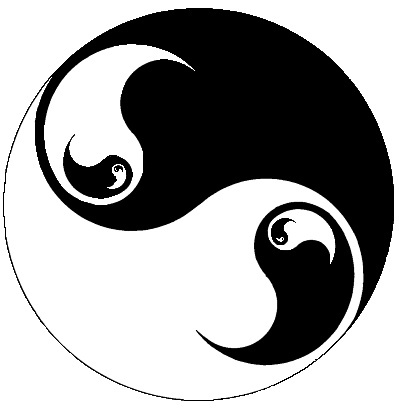 Liezi teaches that all things are interdependent with their opposites, like Yin and Yang working with each other while opposing one another. 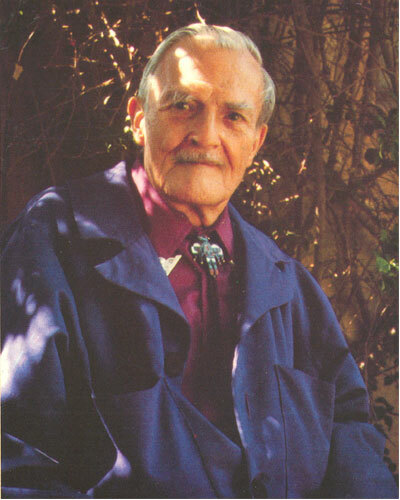 From this, “Consequently, there are ways in which earth excels heaven, and ways in which each thing is more intelligent than the sage” (p. 19). Given ancient cosmology, which sets the heavens over the earth, this is radically egalitarian. Heaven shapes but can not support. When the sage is kind, other things must be strong, and when the sage is just, other things must be passive. Let us examine several passages of the Liezi. 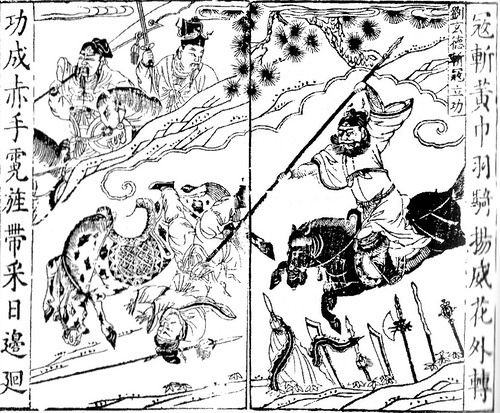 Liang Yang, a slave and royal tamer of wild beasts, says that to tame a tiger you must neither please it with a live rabbit nor anger it by withholding food, but rather feed it bits at a time so it neither gets overly excited nor wrathful. Because he neither gives them what they want nor withholds what they want, they regard him as one of their own. 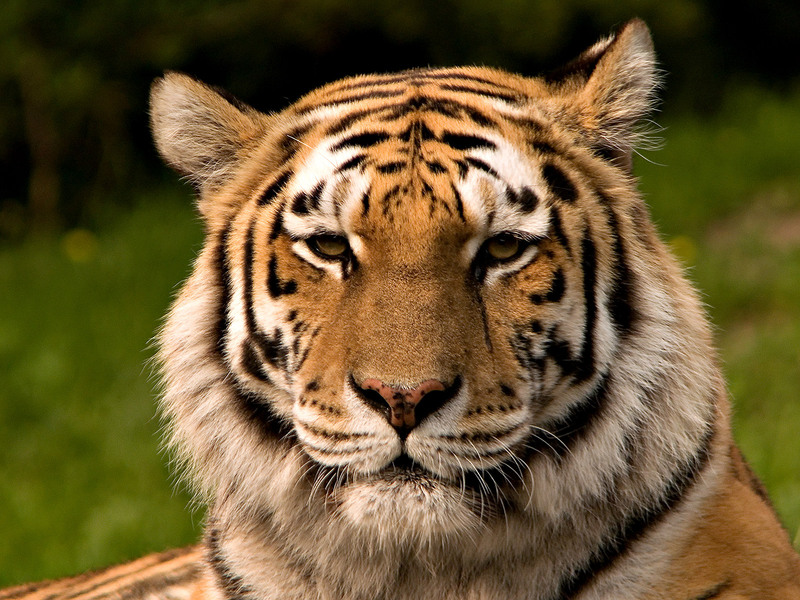 The tiger, symbolic of desire, is not to be overfed or underfed, but tamed by small bites such that it is neither hungry nor greedy. Huazi completely loses his long term memory in middle age, forgetting everything at night by morning and everything in the morning by nightfall. His family hires many to cure him, and all fail except a Confucian who locks himself in a room with Huazi for seven days. 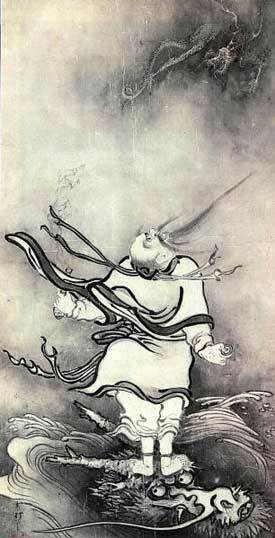 When he wakes up, Huazi chases the Confucian off with a spear. When asked why by his family, he says that he now remembers his past. Oliver Sachs, a psychologist who writes books about his work with neurological disorders, would appreciate this passage. 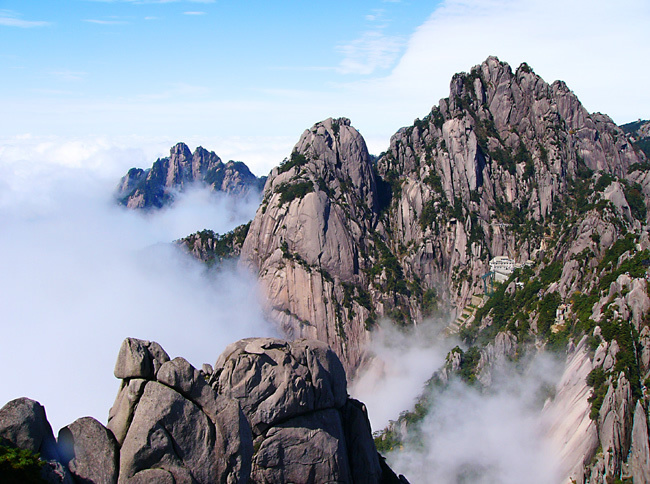 An old man wishes to move a seven thousand foot tall set of mountains, and begins digging with his sons. 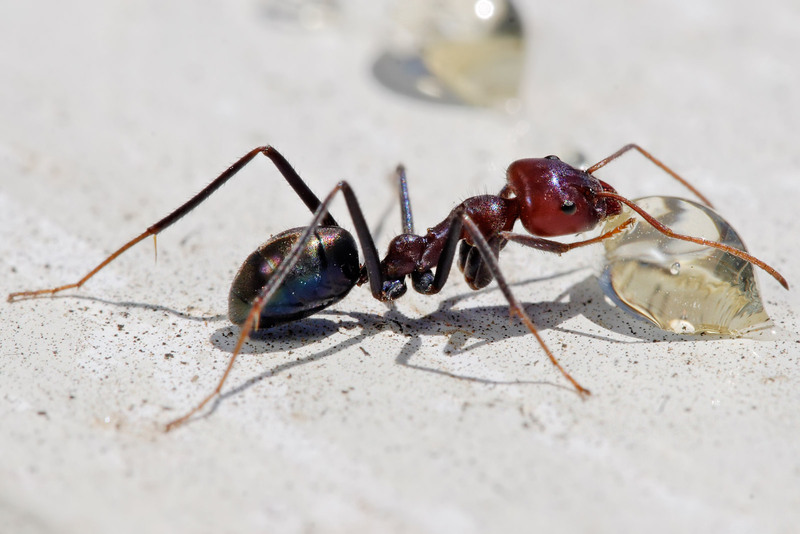 His wife ridicules him, saying that he will clearly die before he puts a small dent in even one of them. He replies that this is true, but his sons will have sons, and they will have sons, and the mountain isn’t getting any bigger. This is very similar to the passage in the Dao De Jing which states that a journey of a thousand miles starts with the single step in front of your feet.